Last festival port! Getting in a day early was great as it was a bonus day without any arrangements on board. During our stay we had a few including lunch for a 50 person shanty choir and a reception that a prince of Denmark attended! There was fun to be had as well as work. Danish ice cream is just as good as I remembered and getting a cone was an almost daily occurrence. At every festival there is a crew party and in Esbjerg we decided to host the crews from the other Nordic ships for a small after party. 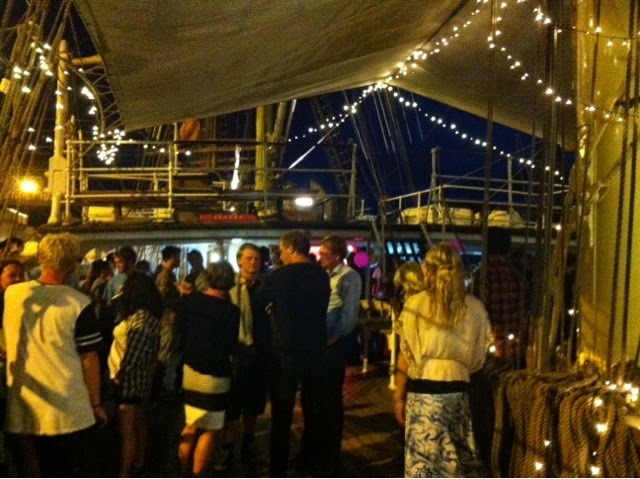 Another of the ships, Raddich, hosted a pre-party so it was a pretty social night! The festival kindly provided wifi which was great especially as the signal reached my cabin! It's so much easier to stay in touch when you don't have to go out and seek wifi. They also collected mail for us and I was happy to have a new batch of notes and letters to read. 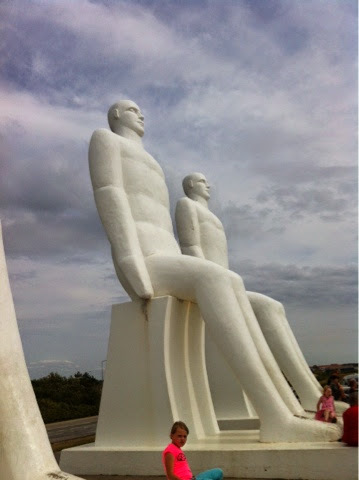 One afternoon on my break I rented a bike and cycled out to the Four White Men, a sculpture near the water. 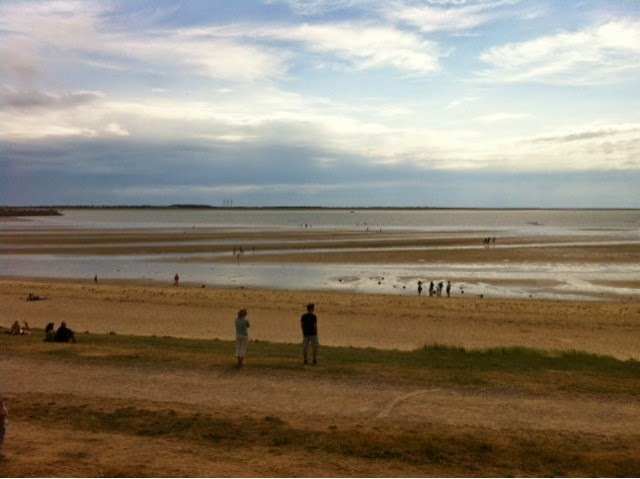 After taking the requisite pictures I waded out into the water, it was low tide, and enjoyed the sea from a different perspective. A quick stop at the maritime museum and for an ice cream and then time to return the bike and get back to work. 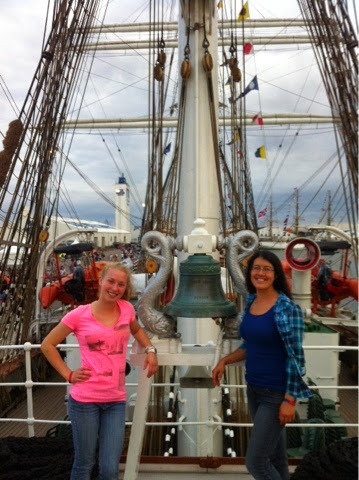 This was one of the few excursions the galley girls didn't do together. How strange to come back and have to ask "how was your afternoon?" I finally got the chance to see a bit of the other Norwegian ships, Raddich and Lehmkuhl. Raddich I was able to see a bit of during the party and I had a 10 minute tour of Lehmkuhl before their evening deck party started. Both are bigger, but not necessarily nicer, than Sorlandet. Of course I was particularly interested in the galleys and enjoyed seeing different set ups.